The state of retail is changing at an incredible rate – probably faster than ever before. Much has been written about this topic over the last few years. While some of the negative press is true, much of it paints an unrealistic image of the sector in order to capture the attention of its readers. 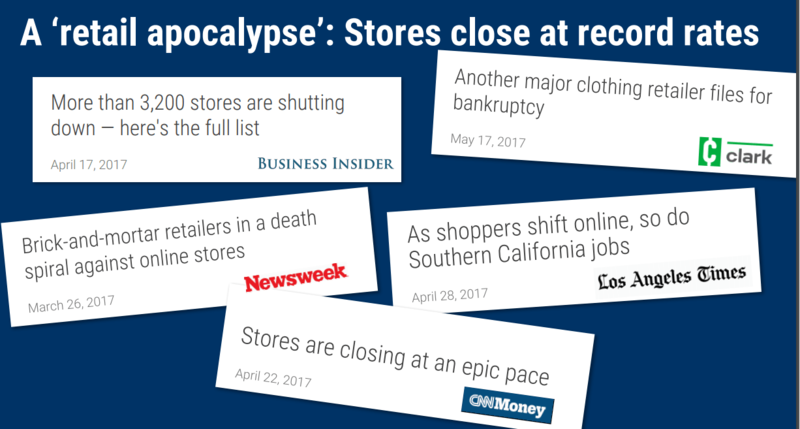 This article makes the case for the “retail apocalypse” within specific categories of retail while simultaneously debunking the myth that brick and mortar retail is dead. To support the notion that brick and mortar is not dead, I’m writing this article from my local coffee shop. I’ll happily spend a few bucks and take the time to walk down the street, leaving the comfort of my couch, because I’m human. As humans we crave community, activity, and being around other human beings. As such, people will always go to environments to feed off the energy of others, interact with others, and even simply people watch. Retail provides one of the few outlets for people to get out of their house and feed this human instinct. We didn’t become 7 billion people by locking ourselves at home or behind screens. 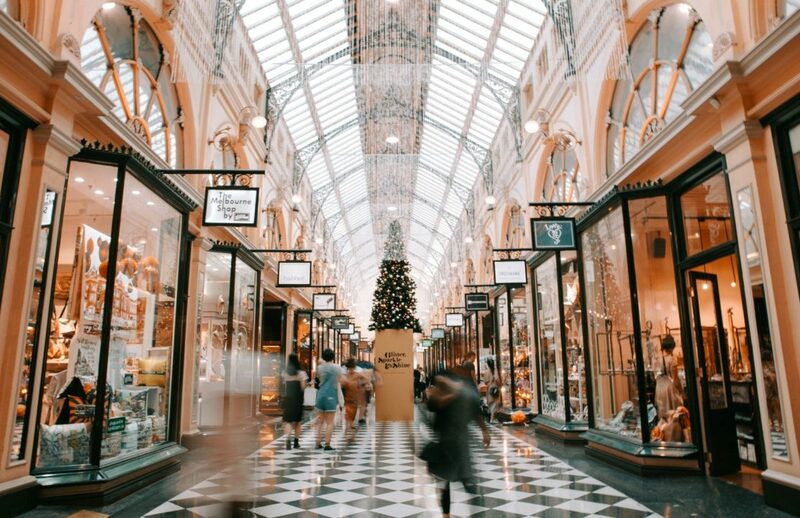 Many retailers, including those who started off as purely e-commerce businesses, continue to find success selling goods and services in traditional brick and mortar retail environments. For the last few years, in their search to write compelling content, journalists and editors have found that dramatizing the evolving retail real estate landscape keeps their readers engaged. It is true, however, that the “Darwinian” nature of real estate continues. A record number of retailers filed for bankruptcy in 2017 and the forecast for bankruptcies in 2018 is even greater. As you can see from the image below, many of our most beloved brands have filed for bankruptcy or completely shut their doors. Many other retailers will likely suffer the same fate in the near future. The macro economy is strong; unemployment is at its lowest level in over 10 years, and the equity markets are at all-time highs – so why all the bankruptcies? The biggest contributor to all the bankruptcies is not that they have been “Amazoned,” in other words beaten by e-commerce. The primary reason for the bankruptcies and store closures is because retailers have binged on corporate debt due to record-low interest rates. Many of the retailers who have recently filed for bankruptcy protection have done so because of staggering debt levels. Corporate debt of non-financial corporations reached 73.3% in the second quarter of 2017 – the highest ever. Many of these high debt levels came as a result of leveraged buyouts (LBO’s) by private equity companies, who have been very active in the retail world over the past decade. Around 50 American retailers filed for bankruptcy in 2017 alone, many due to debt piled on by their private equity owners. I don’t want to completely blame private equity companies for the recent bankruptcies, but in reality, they have overleveraged many retailers contributing to bankruptcy. This trend appears to continue into 2018 and may be compounded due to looming interest rate hikes by the Fed. It is true that e-commerce retailers, in particular Amazon, have also contributed to the retail apocalypse. We all spend a lot of time buying stuff on Amazon. It’s just easier to research and buy many of the products we purchase. I won’t delve into Amazon’s impact here as it should be obvious. Changing consumer preferences has also contributed to brick and mortar retail struggles. People don’t want to shop the same way they did in the 80’s or 90’s or even the early 2000’s. They don’t want to buy clothes from the same store that they buy toilet paper or lawn mowers. 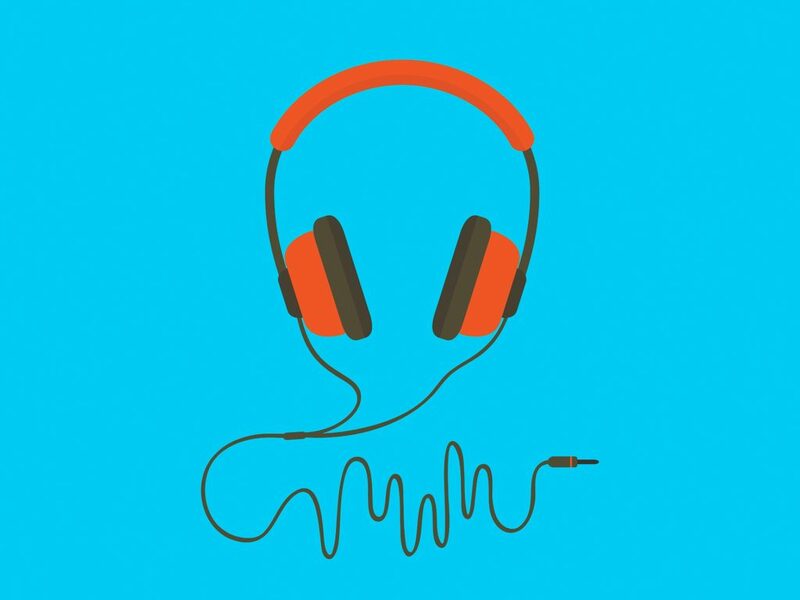 Millennials are very different from previous generations. They are more focused on experiential retail. Another trend impacting retail is the disappearance of the middle class – and the retailers which cater to the middle class. Lets start with the winners before we get to the losers. In general, retailers who either provide a great experience, or sell products at very low prices are those thriving in today’s environment. On the great experience end of the spectrum, class A malls and their tenants are doing remarkably well. Trendy restaurants and fast casual diners are expanding and growing sales. Discount retailers are also thriving in this new retail environment. Examples include brands like Dollar General, Dollar Tree, TJ Maxx, Burlington, Nordstrom Rack, Hobby Lobby, and Ross. It is projected that 60% of new store openings will be dollar store concepts. The restaurant industry has been stable except for the casual dining segment (Applebee’s, Chilis) – Millennials are not recognizing these brands. Quick service restaurants (fast food) and fast casual are doing quite well. Freestanding retail in general is strong. 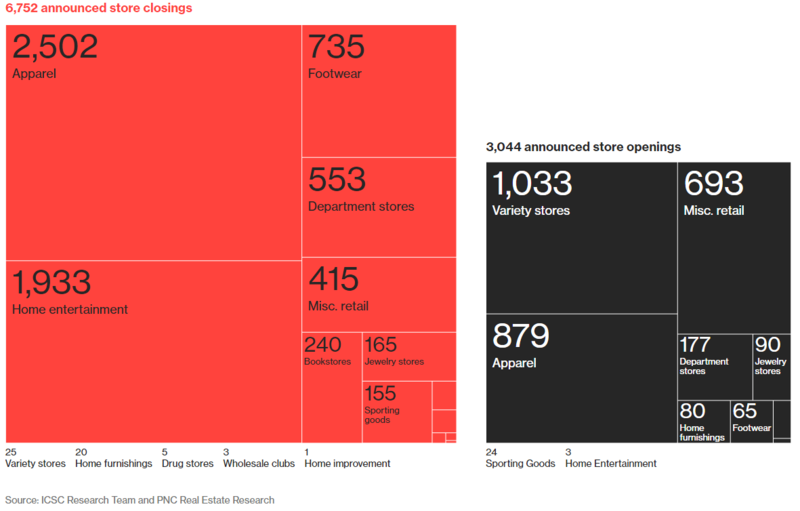 Companies who operate in retail space, yet provide services rather than goods, are doing well. Medtail (medical uses in retail space) is doing quite well. Aspen Dental and other providers of dental, optometry, dialysis, plasma donation, and urgent care continue to open new locations. These users, who provide direct-to-consumer services, prefer to be located in strong retail areas with good access, visibility, strong traffic counts, and retail synergy. These users provide retail landlords with an opportunity to diversify their tenant mix and backfill space that was traditionally occupied by retailers who provide goods. Typically these uses won’t be restricted in leases and CC&R’s, and are typically operated by well-capitalized organizations. 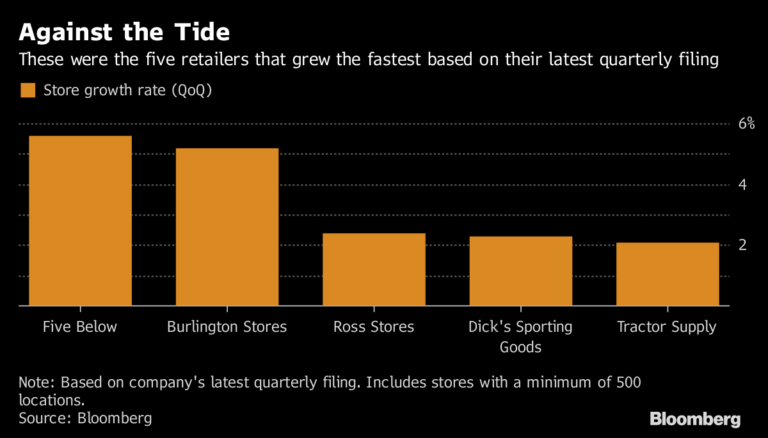 Some of the biggest losers in this new retail environment are class B and C mall tenants – primarily department and apparel stores. Also, many big boxes retailers who’s products can be bought online have and will continue to struggle. Malls, particularly in the Midwest, that cater to the middle class are nearly empty. These malls once catered to middle-class factory workers. Unfortunately, middle-class factory workers are no longer middle class. They are now low-income. Now they shop at dollar stores and Wal-Mart. This is why dollar stores are blowing up rural markets across the Midwest and around the county. Credit Suisse predicts that 25% of the 1,100 enclosed malls currently operating in the U.S. will shut down in the next five years. Other losers include many sporting goods stores, apparel stores, and shoe stores. 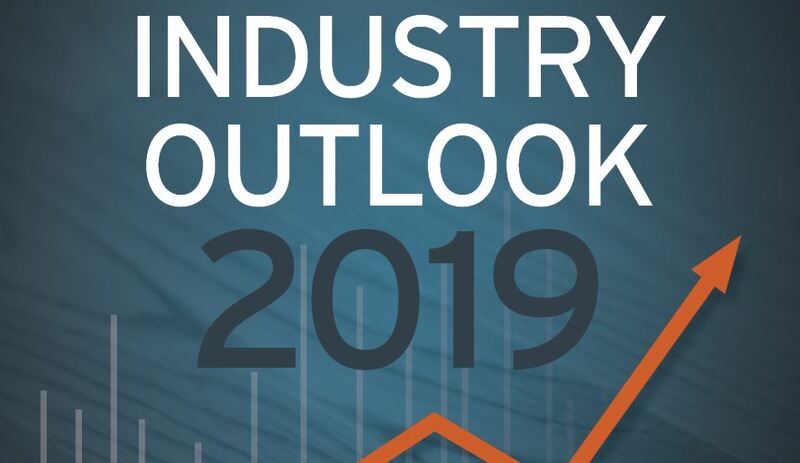 It’s predicted that 8,000 to 9,000 store closings will occur this year across the U.S. and REIS predicts rising vacancy rates over the next year or two as retailers try to figure out their omnichannel strategy. Oftentimes, when people hear that a company is going bankrupt they automatically assume that the company is going to liquidate all of its merchandise and close for business. This is sometimes true, but many times the companies operate post-bankruptcy. Companies use bankruptcy to reduce rental rates, among other things. Tenants and their consultants use the benefits of bankruptcy to negotiate more favorable lease terms: like reduced rent or shorter lease terms. They leverage their ability to terminate the lease using bankruptcy power to force landlords into such concessions. 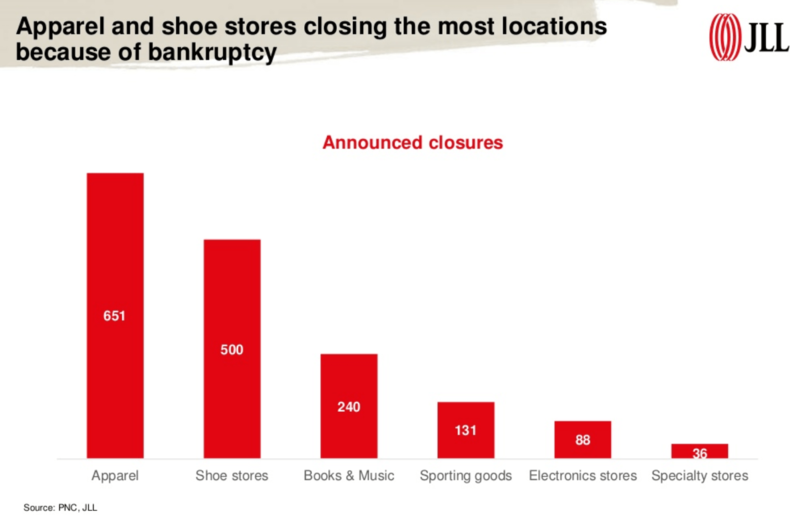 About 50% of store closures in the U.S. over the past few years have come as a result of bankruptcy. Over the last several quarters, cap rates for retail properties have remained very stable. The number of transactions in this sector, however, has decreased. Many owners of retail properties, except for Class B & C malls and some power centers, are able to maintain decent occupancy rates and NOI. Since we are someone near the peak of this cycle, these owner can’t seem to find a better location for their capital. As such, many institution and private owners of retail real estate are holding onto their retail assets. Successfully crafting and implementing a business plan for retail assets is quickly becoming more and more challenging. 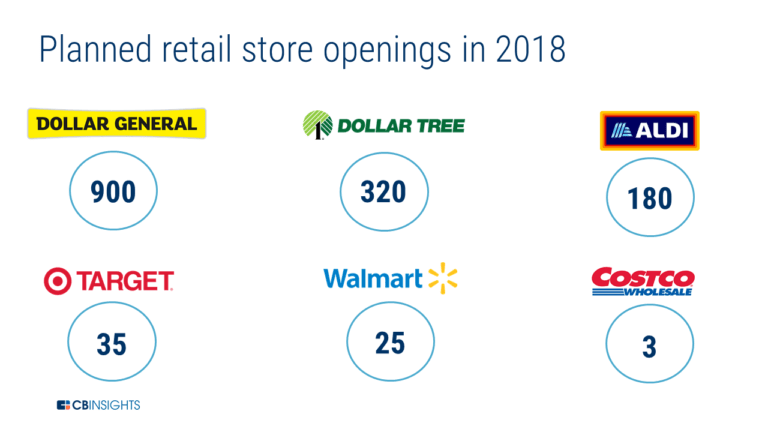 The brick and mortar retail environment is evolving at a pace never seen before – evidenced by the number of store closings. Retail real estate is trying to finds its place in response to changing consumer preferences, omnichannel retailing, and the impact of e-commerce. In short, owners of retail real estate need to stay on top of these trends, and select tenants that can thrive in an omni-channel and internet-driven world. Asset managers need to act not just as a landlord, but also a business consultant and partner to their tenants. It starts with properly vetting tenant prospects and being selective about which types of businesses they lease to. Landlords need to do more than verify that a tenant has the financial wherewithal to pay the rent each month. They should interview prospective tenants like an investor or lender would do prior to committing capital. Landlords should ask tough questions about their omnichannel strategy, their marketing strategies, and thoroughly vet the tenant’s business plan and financials. It’s a tough retail environment and it is important that landlords only lease space to businesses that are adapting to today’s environment. Landlord’s should act as a consultant or partner to their tenants. Many successful owners are building websites for their centers, implementing robust online marketing strategies, hosting events, and getting involved with the local community. Traditional drivers of retail real estate like traffic counts, visibility, and tenant mix remain important; however, landlords need to do more to help their tenants find and maintain success. The restrictions that were commonplace for the last 30 years are quickly becoming less restrictive, as developers know that they will need more flexibility in this changing retail environment. Restricted or exclusive use clauses are being scaled back to allow for medical or similar retail uses. Developers are asking for more carve-outs to give them more flexibility regarding uses in their centers. Tenants will just have to continue to accept less stringent co-tenancy clauses in order to provide landlords with the flexibility they will need to keep their centers near full occupancy. At the end of the day, it is more favorable for retailers to be located in an occupied center than one that has vacancy due to damaging restrictive use clauses. More and more frequently, tenants are approaching their landlords in an effort to reduce their rent. In these situations, landlords need to put the tenant into one of two categories. Is this tenant driving traffic to the center or feeding off of the traffic brought to the center by other tenants? If they are merely feeding off traffic brought by other tenants, landlords need to be sure to give themselves the right to do what is best for the center. For example, if a landlord agrees to a give a tenant a rent reduction, the landlord needs to get something in return – ideally the right to take back the space. Nothing is worse than being locked in a lease with a tenant that doesn’t drive traffic and doesn’t pay market rent. You want to give yourself the ability to replace the tenant with a more favorable occupier. These are just a few tips asset managers should consider in this ever-changing retail environment. Brick and mortar retail is evolving at a staggering pace. It’s an exciting and challenging time to be a player in this space. Let me know what you’re seeing.